Carol and the worship band. 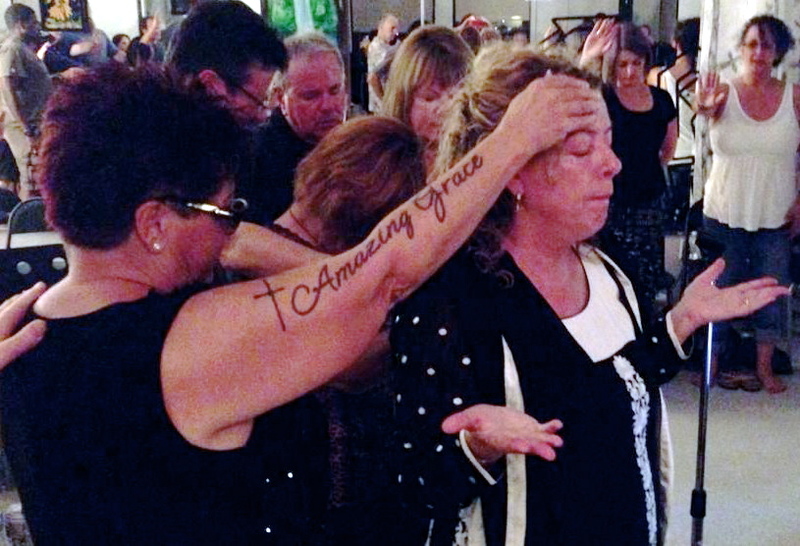 For several months now, the ‘worship’ side of Voice of the Bride has been growing. 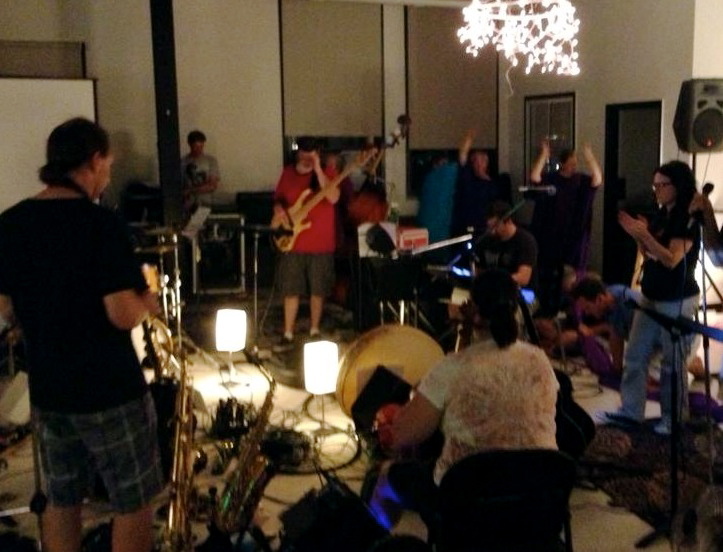 This month, we sponsored a 12 hour day of worship, called “Twelve for the Tribes”, which just happened to fall on the high holy day of Yom Kippur. Yom Kippur was the day when the Jewish high priest went into the holy of holies, to make the atoning sacrifice for the sins of the people, for the year. Jesus, of course, is THE ultimate sacrifice. So it was an honor & privilege to do these 12 hours of worship, on this day. We had worship leaders from around San Diego county, participate. Worship went up. Prayers went up. Dance & art were a part of the day long event. People from all over the county came & worshiped. It was pretty cool! 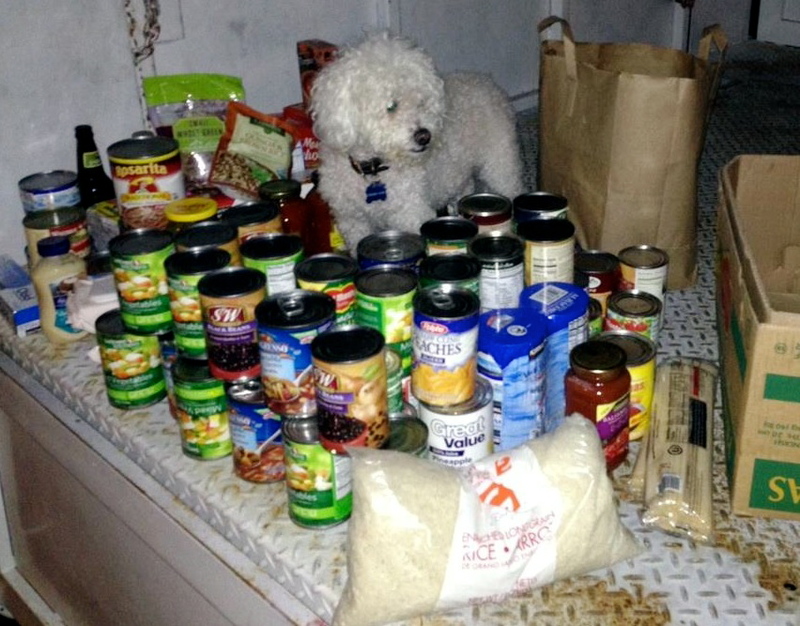 Franki helping to sort the donated food. VOB collected non-perishable food items, throughout the 12 hour day, as the ‘compassion’ side of our ministry. We do this regularly, during our monthly P.lace o.f W.orship, worship & intercession gatherings. Food is collected, for distribution to those we work with in Tijuana. This month, we collected several boxes, through the “Twelve for the tribes” worship day. We love this part! As part of our worship mandate, we are getting to participate in many worship events that are going on around our county. There is quite an outpouring of worship, going on in San Diego, for which we are very thankful. Laboring in this particular field for many years, it is a joy to see more worship coming forth. A few months ago, we were honored to be a part of a worship & prayer event that our missionary friends, David & Hilary Overton, did in Cebu, Philippines. We did this via Skype. Carol led worship, here at our house, with some prayer partners coming to participate. Via Skype, we worshiped & prayed with staff members at Glory Reborn. Truly, this was an honor to do! Jane Goodell praying for Kathleen. We also had the honor of hosting Kathleen Dillard, in September, as she came and shared with us about what the Lord is doing in India, and what the Lord wants to do here, in the U.S.A., through prayer and worship. Many folks were touched & the worship and intercession that came forth for the nations was super powerful! We often pray for Kathleen, and those she ministers to in No. India, during P.o.W. So it was great to have her here, in person. Thank you for your part in contributing to what VOB is doing. Your prayers, giving & encouragement, mean a great deal…..May it all be for the glory of the Lamb of GOD! !